The pitcher, who underwent major shoulder surgery in October 2013, showed in his first bullpen session this spring that he still can be the player the Mariners envisioned when they drafted him in 2011. PEORIA, Ariz. — He wasn’t quite sure of the date, but Danny Hultzen won’t forget that feeling when his optimism began to fade and his hope wavered. 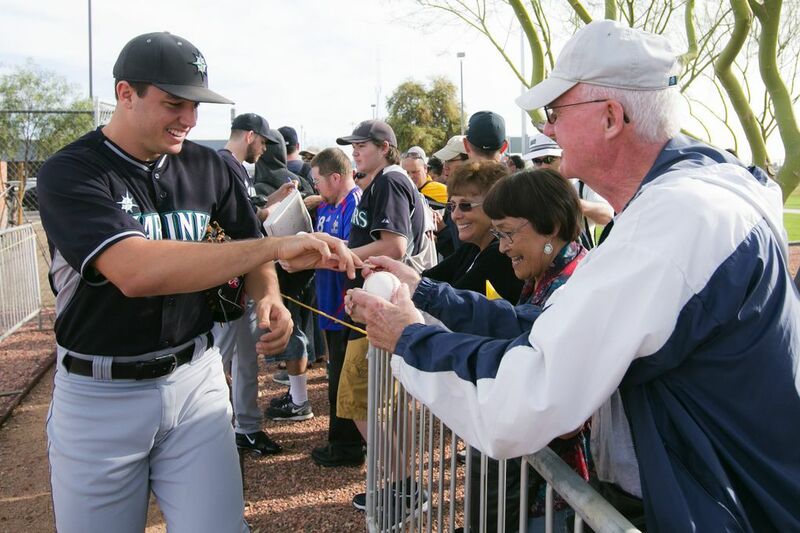 It was just about this time last season at the Mariners’ spring-training facility. While his fellow pitchers were taking part in typical mind-numbing fielding drills and throwing bullpen sessions, Hultzen was a limited participant/spectator. The left-hander was in the midst of a grueling, tortoise-like recovery from major shoulder surgery to repair a torn labrum, torn anterior capsule and partially torn rotator cuff. On this particular day, Hultzen was going to play catch from 60 feet — roughly the distance from the mound to home plate — as part of his rehab program. But the distance felt like six miles. Despite his effort and desire, tossing the ball that distance with any pace seemed impossible — his shoulder had become that weak. He tried to bring a positive view each day of the recovery, but this hurt. A year later, 60 feet was not a problem, and throwing it as hard as he can resulted in zipping fastballs that made the catcher’s glove pop and teammates take notice. On Sunday, Hultzen threw his first bullpen session of spring training. It was a simple but forceful showing of what the former No. 2 overall pick in the 2011 draft was, and still could be, for the Mariners. He showed a lively fastball, threw his changeup and worked on his curveball and slider. His bullpen catcher for the day — John Hicks — was in agreement. And Hicks knows something about what Hultzen was like before, having been his primary catcher at the University of Virginia. When told of Hicks’ comments, Hultzen’s ever-present grin widened. “That’s good to hear,” he said. But it wasn’t just speed, it also was movement. Another thing similar to Hultzen’s college days was a cleaned-up delivery that featured his plant foot landing straighter to home plate. In previous years, Hultzen had picked up the habit of planting his foot closer to the first-base side of the mound and slinging the ball across his body. It’s a habit he thinks came from trying to take pressure off his ailing shoulder. This year, he draws a pair of lines in the dirt on the mound to make sure his foot is landing in the proper angle and place. Hultzen’s bullpen session drew plenty of spectators. Even manager Lloyd McClendon, who usually watches only bits and pieces of the sessions, took a few extra minutes to watch Hultzen. “It was nice to see him healthy again,” he said. Not as nice as the feeling of being healthy for Hultzen. “It’s nice to be able to move my arm and not feel any pain,” he said. Pain-free throwing isn’t a recent development. Hultzen came to spring training prepared to be like the rest of the pitchers — no limitations, no special treatment, no personal workout plans. The catharsis of his recovery came Sept. 28 in an instructional-league game in Peoria. With his father, Chris, in attendance, Hultzen took to the mound and pitched without fear or limitation. He didn’t think about the shoulder, the surgery or the potential risks. He just threw. He threw hard — his fastball registering in the low 90s — and he threw without pain. Afterward, all the hours of rehab, the incremental steps of progress, the moments of doubt and fears of failure came rushing out of Hultzen as he embraced his dad. The team had considered pitching him in the Arizona Fall League, but they instead let him go home for the offseason. He’d been rehabbing for an entire year. Where does he go from here? 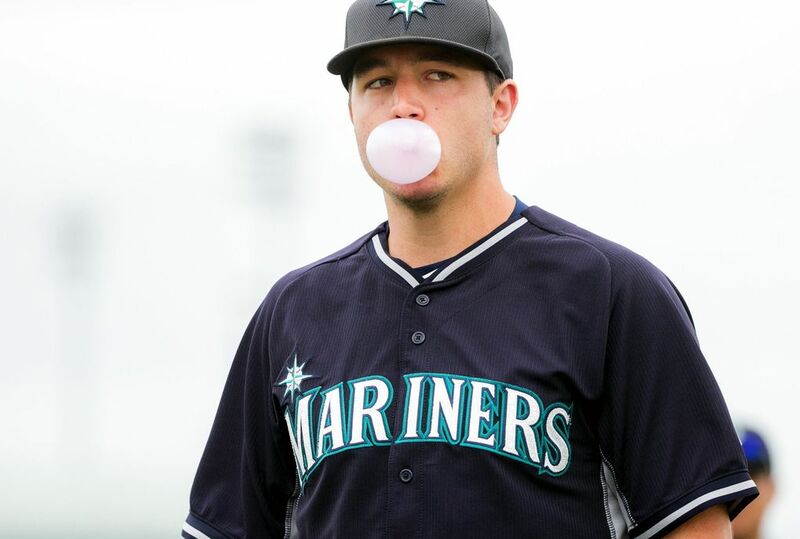 There are no major expectations from the Mariners or Hultzen. It would be unfair to do that. His last full season was in 2012. He threw just over 30 innings in 2013. The goal is to stay healthy this season, no matter what team or level they place him at, and build strength and endurance. Hultzen is fine with whatever the Mariners decide to do.